a lockback design, the 420HC stainless steel blade is securely locked when open. This limited run of only 500 knives includes a leather pouch and walnut wooden box to stow or display your legendary knife. 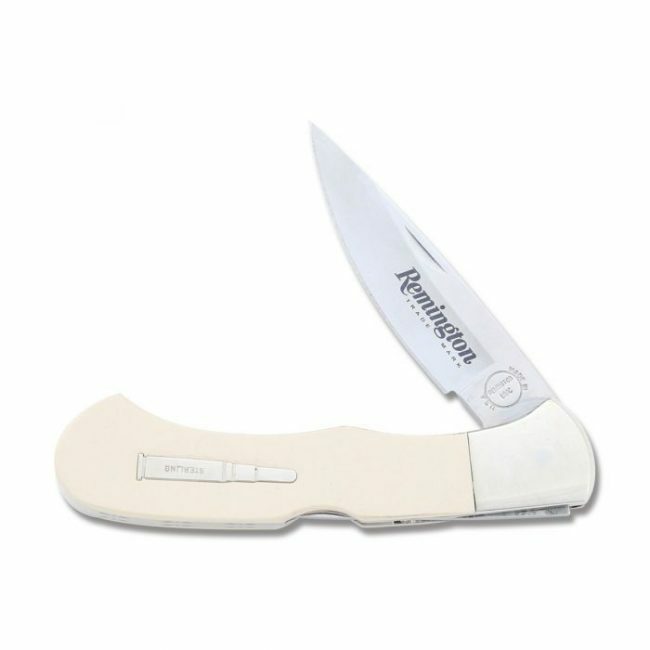 Originally introduced in 1922, the first Bullet knife was a model R1123 Jumbo Trapper. 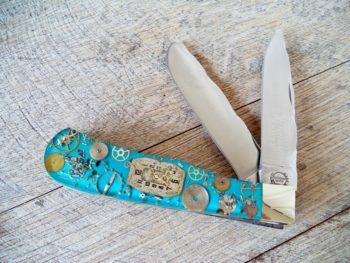 Through the years, different variations of this legendary knife were created, including the recognized styles of The Lockback, The Muskrat, The Baby Bullet, The Trail Boss, The Woodsman, The Hunter, and The Fisherman. 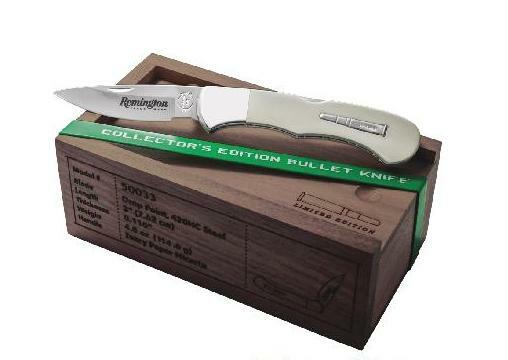 Constructed with quality materials, each knife in this series features a bullet shield in the handle. 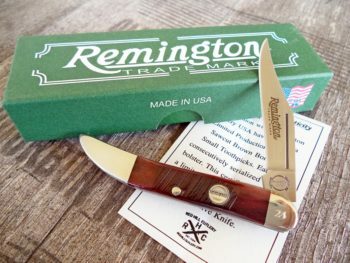 These knives gained fame through the 20’s and 30’s and were later reintroduced in 1982. These classic reproductions continue to be sought out by avid knife collectors as historical keepsakes.